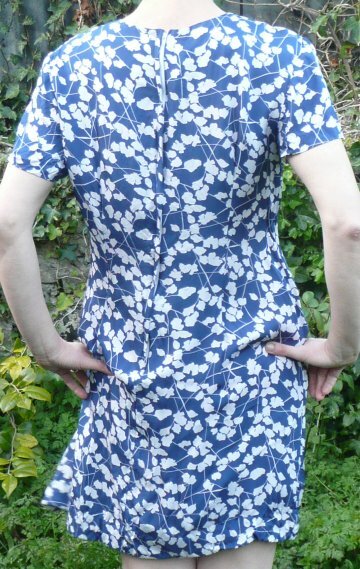 Vintage 1950s blue/white print silky dress. 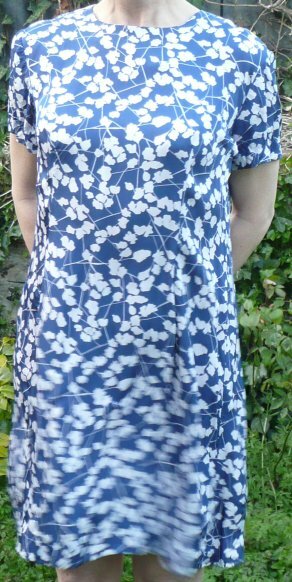 I'm guessing this dress has been professionally hand made, as there are no labels, but it has been very well finished. 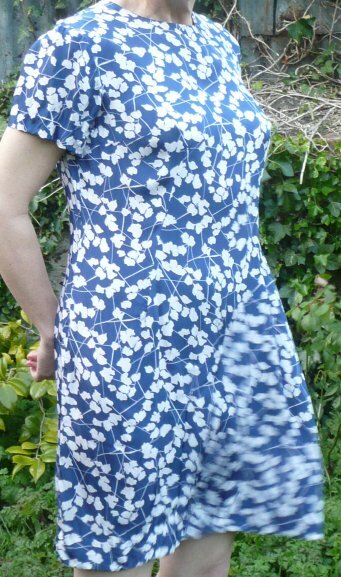 It's a perfect summer dress, made from a lovely, silky feeling fabric which flows and feels cool against the skin; and the colour will enhance any tan! Slightly fitted, with a round neck and little sleeves, it fastens with a long rear zip and is in perfect condition. Best fitting a UK size 14 or 16, actual garment measurements are: bust 42 ins/106.5 cms; waist 36 ins/91.5 cms; hips 44 ins/112 cms; length from back of neck 35 ins/89 cms.